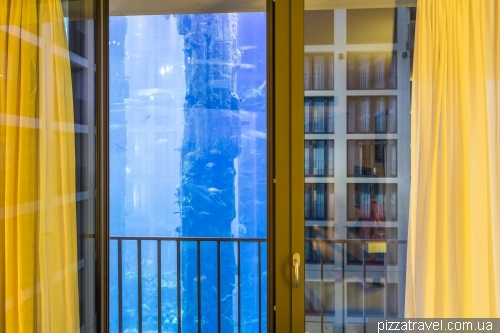 This hotel has one of the best locations in the city, but is famous not because of this. 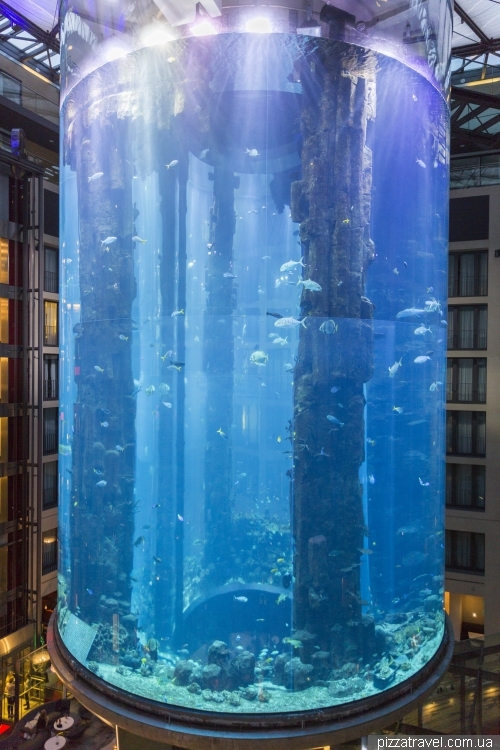 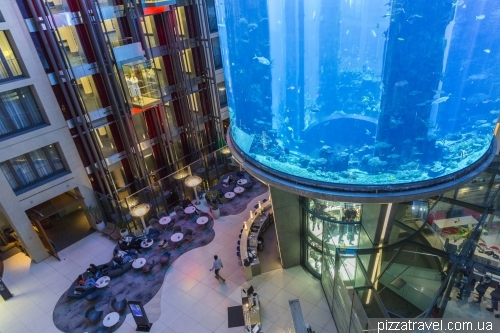 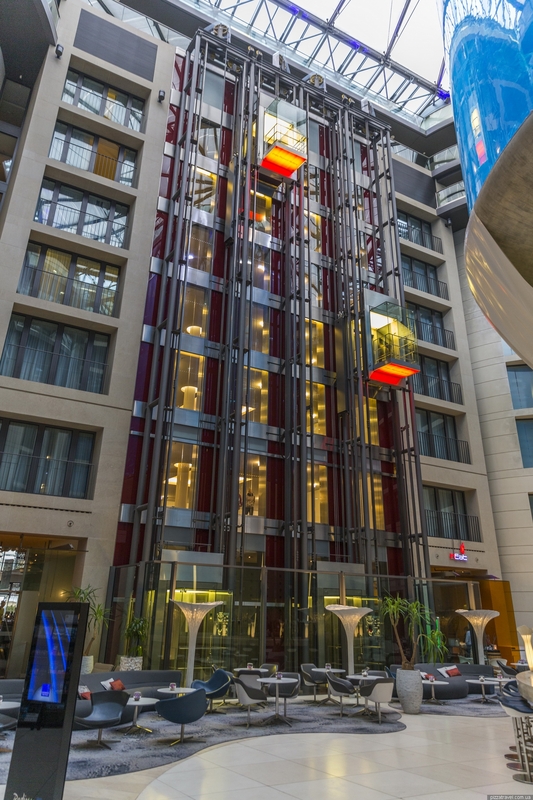 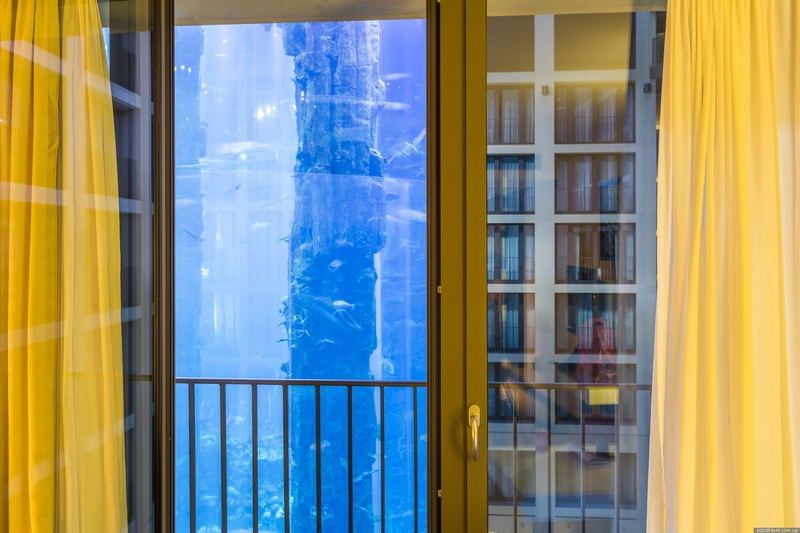 The rooms with balconies which overlook the inner atrium (booking.com) offer views of the giant Aquadom. 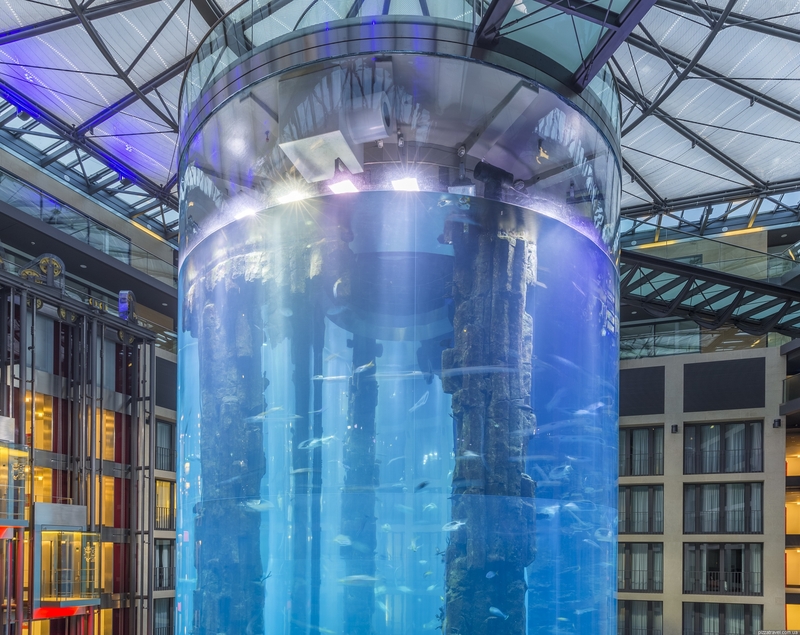 Aquadom is the world's largest cylindrical saltwater aquarium. 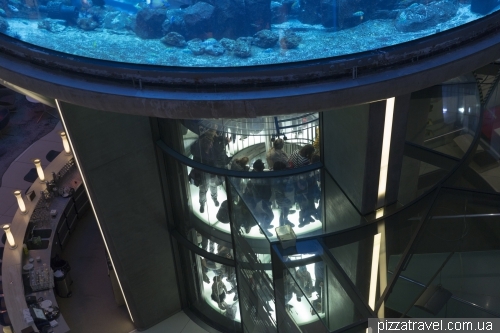 Its height is 16 m and diameter is 11.5 m.
The volume of the aquarium is 1 million liters, 1,500 fish live inside. Aquadom can be visited from the inside, there constantly runs a two-story elevator. The entrance to the elevator is made in such a way that tourists do not get into the hotel lobby, they are in a glass tunnel. Information on opening times and ticket prices find here https://www.visitsealife.com/en/berlin/. 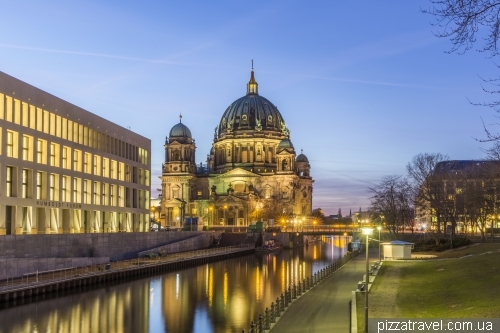 The hotel is right next to the Berlin Cathedral. 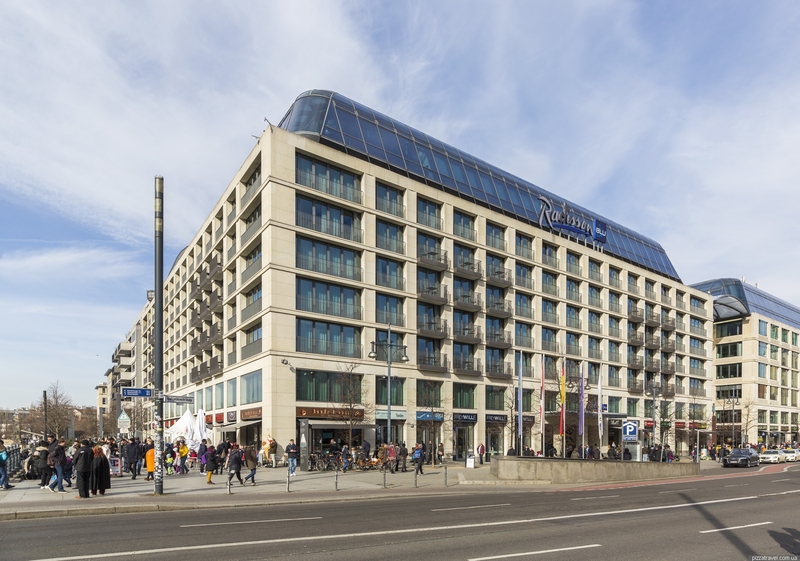 Getting there: the nearest S-Bahn station is Hackescher Markt, then 550 meters on foot. The nearest U-Bahn station is Alexanderplatz, then 750 meters further on foot. Tram stop near the hotel is Spandauer Straße / Marienkirche. Parking under the hotel N 52 31.149 E 13 24.177.